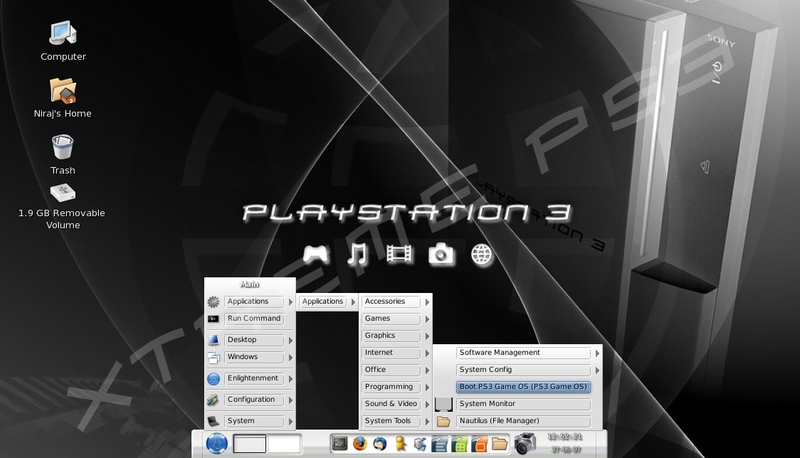 Before you can begin to install YDL, your PS3 system needs to be setup. There are three steps that need to be preformed before you can begin installation: Partitioning the hard disk, Installing the OtherOS loader and changing the default boot setting. Each stage is broken down. Settings > System Settings > Backup Utility > “Back Up”. Select the “Format Hard Disk” option and select “Yes” for Disk Format. Select the “Custom” format option and then select the “Allot 10GB to the Other OS” option. The disk will then start to format. Select “Quick Format” if you want to format the drive quickly. Some of the deleted data may be recoverable. Select “Full Format” to remove all data permanently. Use this option of you have sensitive data on the hard drive. Do not turn off the system during for formatting – your system software could be destroyed. Once formatting is complete, press “X” to restart the system. Insert the YDL DVD into the PS3. The PS3 should find the required file on the YDL DVD. Once the installation is complete, exit from the “Install Other OS” screen. Before changing the default boot setting, it is important that you are using a HDTV supporting 720i resolution, since YDL uses 720i. 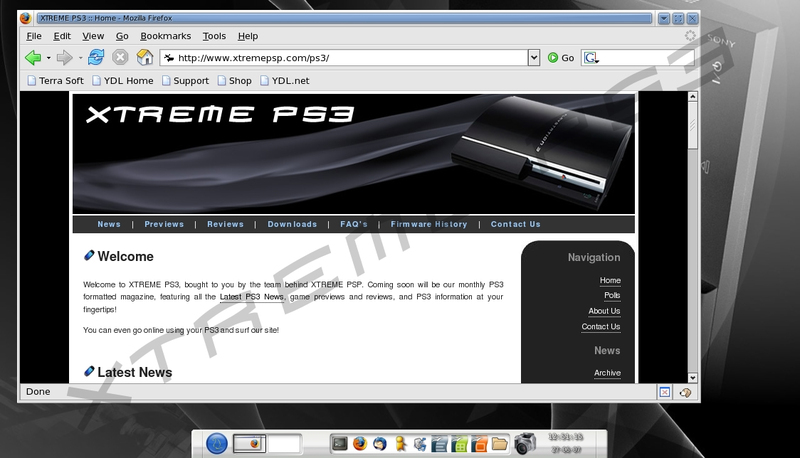 Please also make sure that the YDL DVD is inserted into the PS3 since it will be needed when you reboot the PS3. From the Settings Menu, go to the “Default System” option. Set the “Default System” to “Other OS” and click “OK” to boot into the Other OS. If the Other OS files were installed correctly, you should see a bunch of text appear on the screen. This means that everything is working. YDL should start installing soon after and the process is relatively simple. 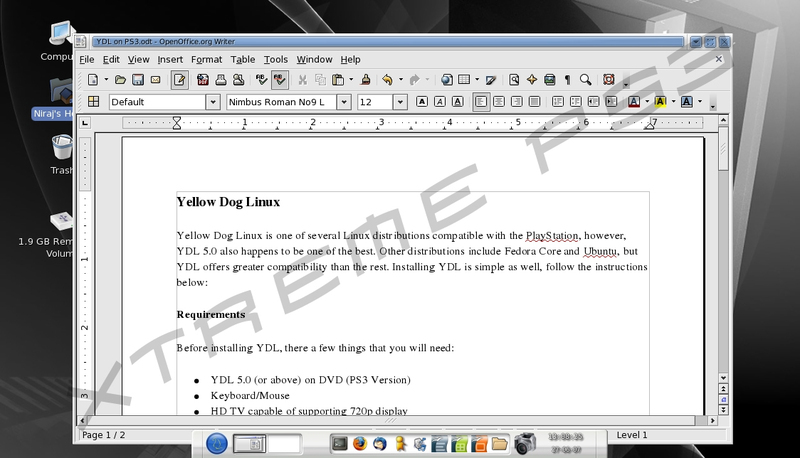 YDL uses a graphical interface to install Linux onto your PS3, so all you need to do is follow the instructions. The installation process takes over an hour. 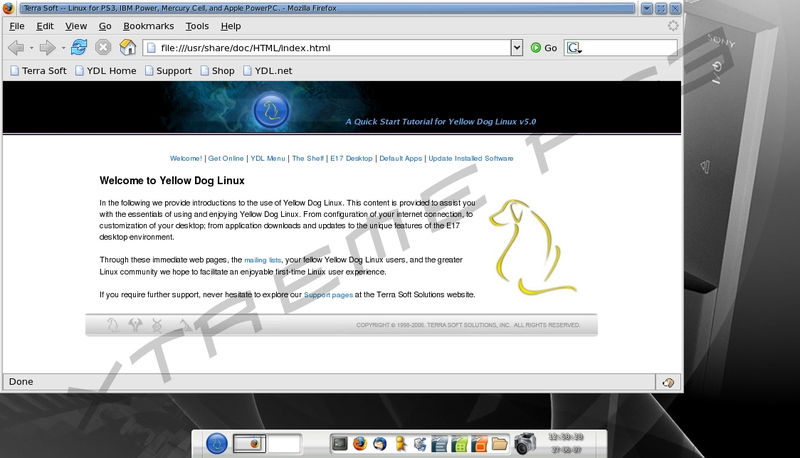 Once YDL has been installed, the disc should automatically eject and all you need to do then is to reboot into Linux.